More and more fire sprinklers systems are being installed in small residential properties. This maybe for the occupiers own peace of mind, so they know that their property, possessions and family are safe from the risk of fire ever taking hold in their property. Fire sprinklers are also often installed where compliance to Building Regulations cannot be met. This may be because of poor access for fire appliances, open plan design, inner rooms, loft conversions, height of buildings etc. Further details can be found in the Sprinklers and Building Regulations section. Planning applications for second floor loft conversions will not be approved if the property has an open plan ground floor. The Building Regulations have until recently required ground floor wall walls and fire doors to be constructed to ensure that there is a protected escape route throughout the property. Contact us to find out how the installation of a BS9251 fire sprinkler system can resolve this issue. 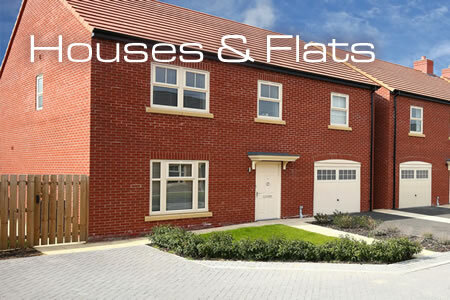 Sprinkler systems can be installed in new builds as well as furnished and lived in properties. Where possible we will try to use a mains fed water supply for the sprinkler system, there are occasions when this is not possible and a water storage tank and fire pump is required. Concealed sprinkler heads will be used which are aesthetically pleasing and can be colour coordinated to match the decor of the property. Our office staff will be happy to consult with the authorities having jurisdiction, including building control, fire authorities and water authorities. If water storage tanks are required we can offer a wide range of shapes and sizes including triangle shaped tanks that will fit neatly under the eaves within the roof space. On completion of the installation a compliance certificate will be provided as well as a customer’s user’s guide.